Проектът насърчава област на интервенция, в състояние едновременно да отговори на съществуващите проблеми и предизвикателства чрез планирано обновяване на градската среда / на кварталите, в което съвместните действия на публичния и частния сектор ще доведат до екологични, икономически и социални ползи. Проектът има за обща цел да създаде инструментариум и да предприеме действия за да се изгради “модел за управление на зеленото строителство” на град, район и квартал, за поддържане на устойчиви градски нови конструкции и преоустройство, както и за създаването на нов метод за гражданско участие и участие на мрежа от заинтересовани страни, работещи заедно с местната власт. Водеща организация е Фондация “Алма матер” от Болоня, Италия. Продължителността на проекта бе от 25.01.2013г. до 31.12.2014г. Проектът е финансиран със средства от Европейския фонд за регионално развитие (85%) чрез Оперативна Програма за Трансгранично Сътрудничество в Югоизточна Европа и съфинансиране от националния бюджет (15%) чрез Министерството на регионалното развитие и благоустройство. Within this project, the Lead Partner (FAM) – Alma Mater Foundation, shall carry out and monitor thoroughly all assets related to the implementation of the project, by means of sharing its competences with the full partnership, while assisting partners with issues such as the projects working relationships, dissemination activities, involvement of institutional partners, enterprises, associations etc. The National Institute for Research and Development in Environmental Protection (NIRDEP) is a leading research structure in the environmental protection field, co-ordinated by the Romanian Ministry of Environment and Forests. NIRDEP is intensively involved in researches dedicated to environment protection. Interdisciplinary activities are currently carried out in order to find out technical solutions to alleviate, and to eliminate the impacts of human activities on environment. Business Support Centre (BSC) is a regional development agency and a regional support institution for entrepreneurial economic development of Gorenjska. BSC is a supporting institution which has the public authority to perform the following tasks: promotion of balanced regional development (by authority of the Government Office for Local Self-Government and Regional Policy) and promotion of entrepreneurship. City of Thens Development Agency S.A. The City of Athens Development Agency S.A. (AEDA) is the public development agency of the municipality of Athens. The municipality of Athens is suffering from the lack of green spaces. 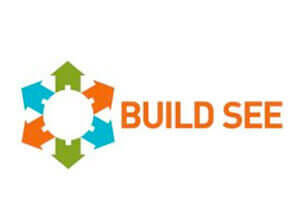 AEDA through that the BUILD SEE project will offer new approaches, expertise and solutions to the municipality, as well as good examples from other countries which will join the consortium in order to apply practices and tools developed by BUILD SEE in the future. The partner represents the technological/research side of the project partnership, with CERTH being one of the major technological research centres in Greece. CERTH will benefit from the new input coming from such a broadscope in tackling ecological and sustainable cities, thereby fostering research in the field of Green cities achieving low environmental impact and becoming ecologically-friendly in the SEE area. Energy and Innovation Centre of Wiz Ltd. The project partner “Energy and Innovation Centre of Weiz Ltd.” (in short W.E.I.Z.) is a fully-owned subsidiary of the “W.E.I.Z. Estate Ltd.” that itself is on the one hand one of 33 “impulse centres” in the Austrian province Styria (source: www.sfg.at) and on the other hand has four, mainly public shareholders (municipality of Weiz, borough of Krottendorf, Steierm?rkische Bank & Sparkassen and energy region Weiz-Gleisdorf). The focus of the W.E.I.Z. was set on innovation and energy, especially renewable energy and energy efficiency. The Region of Western Greece is one of the 13 regions of Greece. It is part of the second level of selfadministration structure and is extended in the north western part of Peloponnese and the western part of Central Greece. The area of Western Greece Region is 15.490 km2 and the population is more than 640.000 people. The Municipality of Bologna is carrying out several projects in the field of Urban Regeneration, since this is the main objective of the recently approved Municipal Structural Plan that points out the strategies for the future development on the city. In this context the Housing Services Department is developing many projects which aim to improve the social cohesion and the environmental quality in the urban areas, in strong cooperation with other Departments such Environment and Urban Planning and other public and private stakeholders. The Centre for applied research – Buildings and Construction is a non profit Foundation launched by the Emilia Romagna Region and High Technology Network , with the aim of promoting, sustaining and overseeing training and research in the field of the Buildings and Construction. In particular, the Centre has three research units specialized in: i) Safety, Sustainability and Energy Efficiency, ii) Refurbishment and Restoration, iii) Fluidodynamics. Dugopolje Municipality is part of the metropolitan area of Split (second largest city in Croatia) with the significant metropolitanization process (According to the Regional Development Strategy of Splitskodalmatinska County 2011). The Municipality of Tirana is a local authority which exercises its functions and competencies according to the Constitution of Albania (1998), Law No. 8652 dated 31.07.2000 for “The Organization and Functioning of Local Government”, and the European Charter of Local Self-Governance (ratified by the Parliament of the Republic of Albania on 11.11 1999). The local government consists of a representative body and executive organ. The representative body is the municipal council. The head of the executive organ is the Mayor of the city. BASD has in its scope of intervention: ecology, architecture, improvement of quality of life. BASD will bring to the project the possibility to enter several international networks, such as: TRIALOG, Spring Alliance, UN-DESA Civil Society System, Earth Charter, Global Call to Action against Poverty, UN Global Compact, Seattle To Brussels Network and OSOCC. The Emilia-Romagna was the first Italian region to establish, in 1994, its office in Brussels for contributing to the development of strategies and activities of regional importance and to promote the Emilia-Romagna Region within the EU at the aim to devise , together with other European partner, common strategies, promoting transnational projects, information exchange and public initiatives. ZRC SAZU is one of the leading research institutions in Slovenia. Its 17 institutes conduct various surveys relevant to the project; in particular, Anton Melik Geographical Institute deals with urban issues, regional planning & environmental management, i.e. sustainable transport solutions to transport challenges in metropolitan regions, creativity and attractiveness of the cities, quality of life in the cities, waste treatment, green areas, etc. The partner will represent the municipal territory where the local study of the Austrian partner will be carried out. The activities will be mainly carried out in the Styrian energy region Weiz-Gleisdorf. This region has a size of about 240 kmq and has about 42.000 inhabitants. The association “energy region” was founded in the year 1996 with the main vision to set regional and common impulses towards the main topic “energy”. The city of Weiz itself is the main centre for administration, education and culture with having a high quality of living.